Your choice of retirement plan depends upon your situation. 2. Can I Make a SEP IRA Contribution & a Traditional IRA Contribution in Same Year? There is no perfect retirement account, even if you're self-employed. While small business owners enjoy a little more flexibility when they determine their retirement options, calculating whether to invest in an Roth individual retirement arrangement or a simplified employee pension plan IRA -- or both -- is a matter of how each fits into your personal retirement plan preferences. Self-employed investors may use a Roth IRA to help fund part of their retirement. 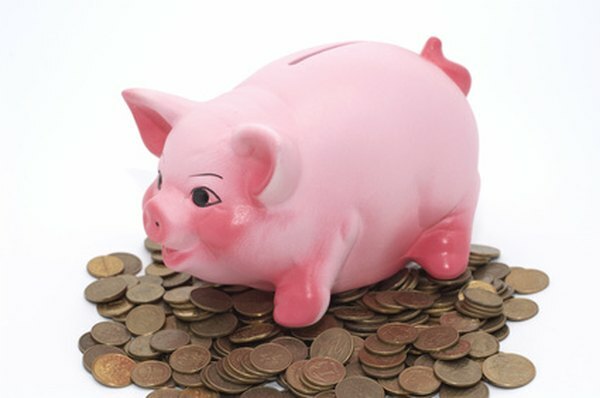 The only eligibility requirements for contributing to a Roth IRA are that you -- and/or your spouse -- have "earned" income such as wages (vs. "unearned" income such as investment income); your contributions cannot exceed the amount of your modified adjusted gross income; and you must meet certain income and contribution limits. For tax year 2018, to contribute up to a Roth IRA's limit, your modified adjusted gross income (AGI) must be less than $120,000 if single, head of household or married filing separately (if you lived apart from your spouse for the entire year); or less than $189,000 if married filing jointly or a qualifying widow(er). For tax year 2019, your adjusted AGI must be less than $122,000 if single, head of household or married filing separately (if you lived apart from your spouse for the entire year); or less than $193,000 if you're married filing jointly or a qualifying widow(er). If you’re married filing separately (and you lived with your spouse during any part of the year), your modified AGI must be less than $10,000 to contribute a reduced amount to a Roth IRA (for 2018 and 2019 tax years). Rules for Roth contributions are the same for spouses who work or don’t work. Roth IRAs allow only after-tax contributions rather than tax-deductible contributions as for traditional IRAs. For tax year 2018, each taxpayer may contribute $5,500 each year, or $6,500 if you’re 50 or older. For tax year 2019, each taxpayer may contribute $6,000 each year, or $7,000 if you're 50 or older. These amounts double if you file a joint return. Contribution limits include the total of your yearly contributions to both Roth IRA and traditional IRA accounts. Although you pay income taxes on funds you deposit in an Roth IRA, all investment income you receive is virtually tax-free. Because you paid income taxes on the contributions before you made them, distributions from a Roth aren’t subject to income taxes again. As with traditional IRAs, you face a 10 percent penalty if you receive a distribution before you turn 59 1/2 or sooner than five years after you opened your Roth IRA. The IRS allows penalty-free early distributions under some circumstances; these include up to $10,000 to purchase your first home or distributions you take if you become disabled and can't work. If you are self-employed and have no other employees or high employee turnover, a SEP IRA may be a good solution for your retirement needs. A SEP allows you to make pretax contributions similar to a traditional IRA, which reduces your taxable income rather than after-tax contributions like a Roth IRA. Another advantage over a Roth IRA is the higher contribution limit. For tax year 2018, you may contribute as much as 25 percent of your annual income, up to a $55,000 cap. For tax year 2019, you may contribute up to 25 percent of your income, up to a $56,000 cap. Because these contributions are made on a pretax basis, however, once you reach retirement age -- at least 59 1/2 -- you pay income tax on all distributions. Although the SEP contribution limits are much higher than those of Roth IRAs, they come with a major caveat: You have to contribute the same percentage of wages for every eligible employee in your company. Although you may set more lenient requirements, the Internal Revenue Service requires that any employee who is over 21, earned $600 in wages from you during the year and worked at least three of the five prior years receives the same contribution percentage as all employees. Thus, SEP IRAs are costly and generally impractical for business owners with large staffs. Is a Roth IRA Income Contribution Limit the Same As an IRA Deductible?